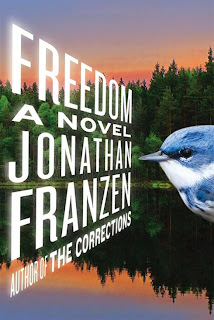 American author Jonathan Franzen's contemporary novel Freedom was published in 2010, picked up by Oprah Winfrey and added to her selection of book club books and entered many Top 10 Bestseller Lists around the world. My friends and family know that the trendier a book gets the less likely I am to want to pick it up; I just don't like reading what everybody else is reading. But now that all the fuss has died down, and I was able to pick up a copy of Freedom for $4.95 I thought I'd judge for myself whether the claims of 'masterpiece' and 'great American novel' were justified. 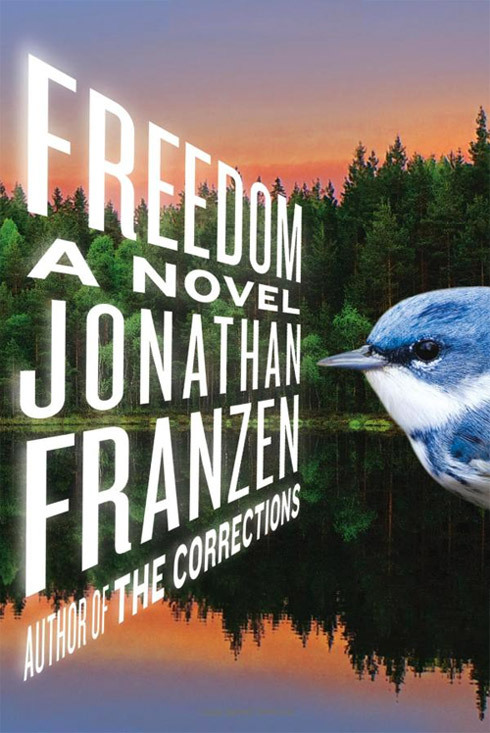 At 597 pages, Freedom is slightly longer than your average paperback novel and covers a time period of 30 years. It is essentially the story of Patty and Walter Berglund and their marriage together. We spend time with Patty narrating her childhood, courting with Walter, meeting his best friend Richard Katz, having two children and experiencing marriage problems. We also spend time with characters Walter, Richard, and the Berglund son Joey. Much time and effort is devoted to character development in great detail with back story - emotional insights included - and the reader soon has an in depth understanding of the Berglund circle of influence. All of this is played out against two major environmental backdrops through Walter's character; the first being the conservation of the Cerulean Warbler bird through a process of mountaintop removal and the second being overpopulation. I honestly admired the author's ability to create such a depth of character in a fashion not seen a lot in contemporary fiction. (Perhaps this is why it is referred to as 'the great American novel'). But did I care? No, not really. These were ordinary people doing ordinary things and broadly speaking this story could be a book about love; or a love triangle. I also struggled with the long paragraphs and especially the long chapters. Some chapters were 50 - 70 pages in length, which meant reading for two nights before reaching the end of a chapter, argh! I did feel a little 'tricked' reading this novel, as if the author had used the love story in which to park his real environmental agenda and I couldn't help getting my back up about this. They just didn't fit together. I also resented the length of the book and was glad when it was over. So, my rating will reflect this: three stars in admiration of the effort, minus one star for the resentment and lack of care factor.